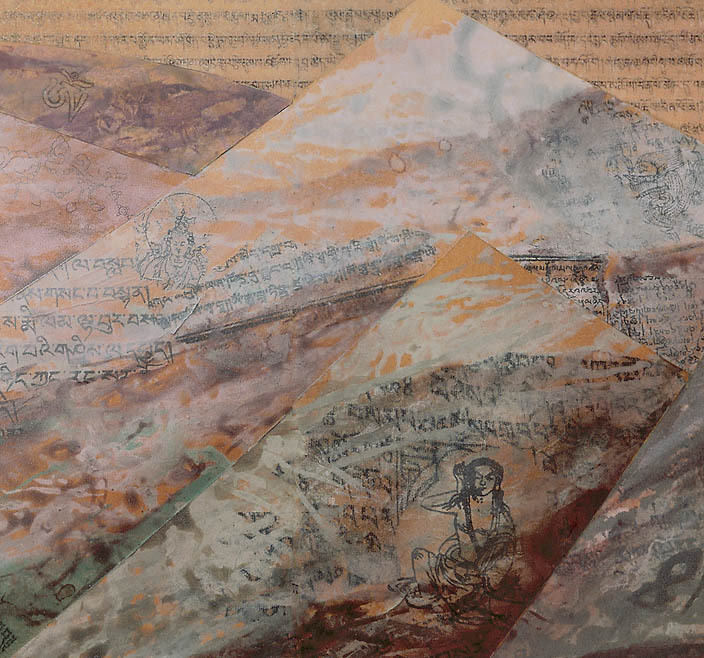 With this triptych I crystallized my experiences of a pilgrimage to Mount Kailash in a single painting. 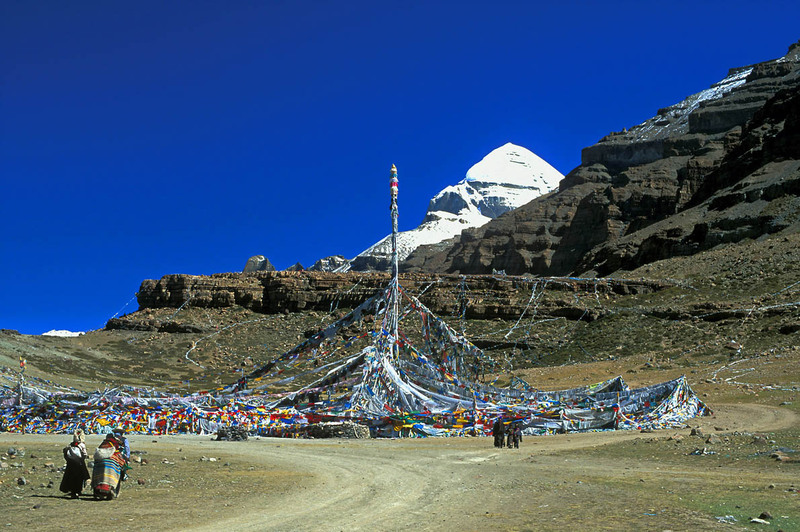 Different impressions along the path, starting from Simikot in Nepal, and finishing at Mount Kailash, are captured in just one picture. 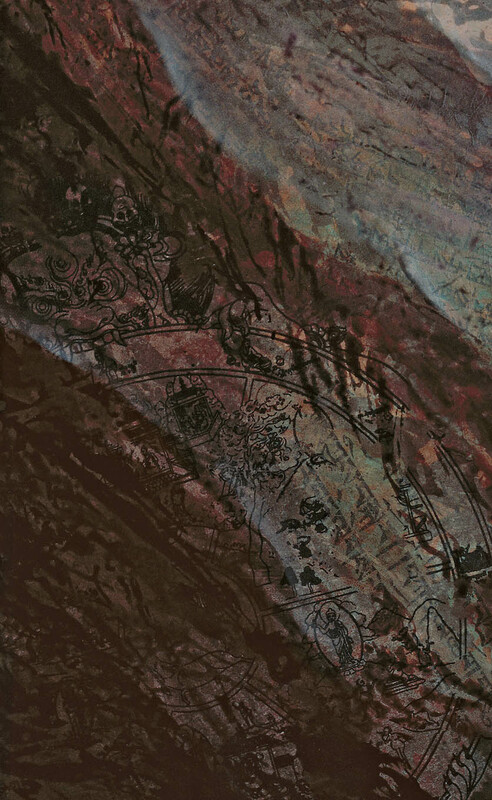 (Note: the three different panels of the triptych have been digitally stitched together for the main photo reproduction). 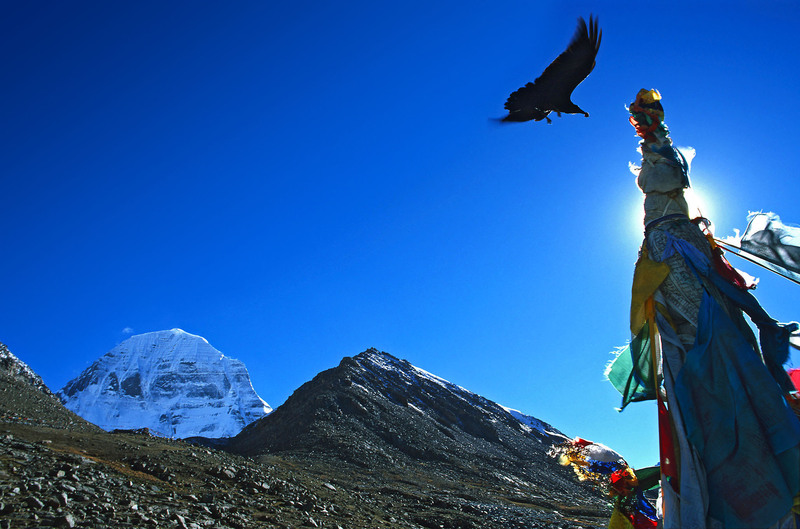 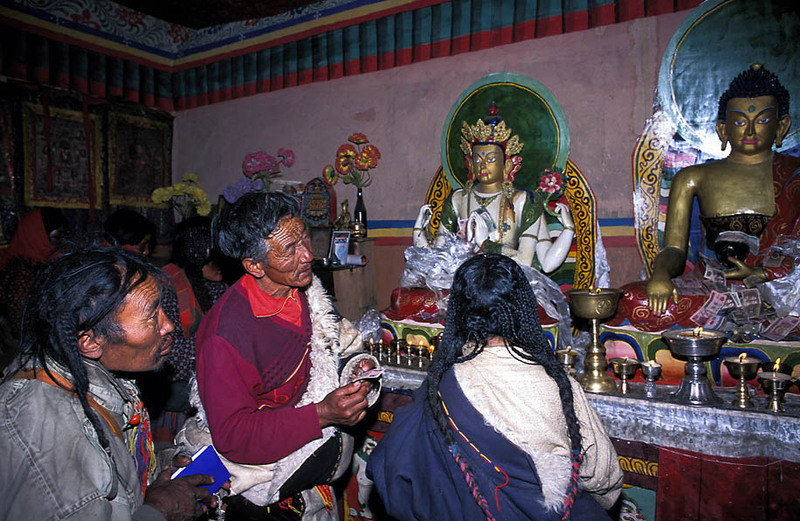 The whole landscape surrounding Mount Kailash is permeated by a shamanistic and religious atmosphere. 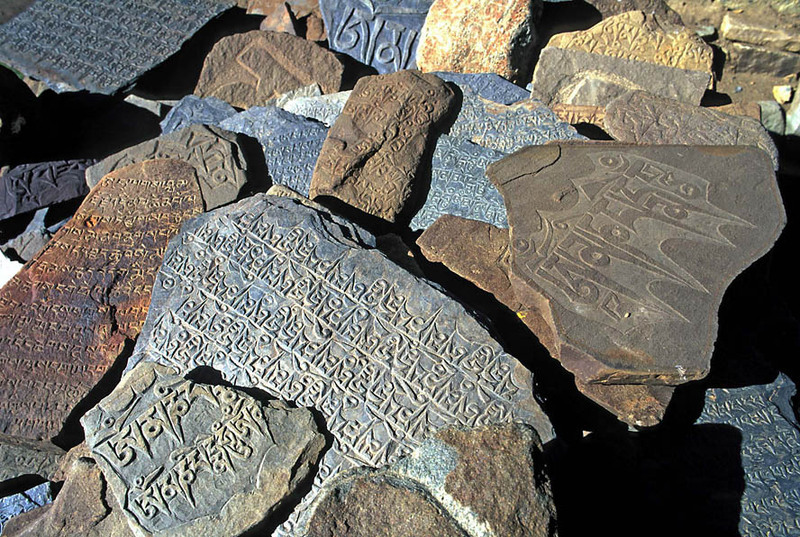 Prayers, mani stones and engravings of Buddha emanations can be found around every corner. 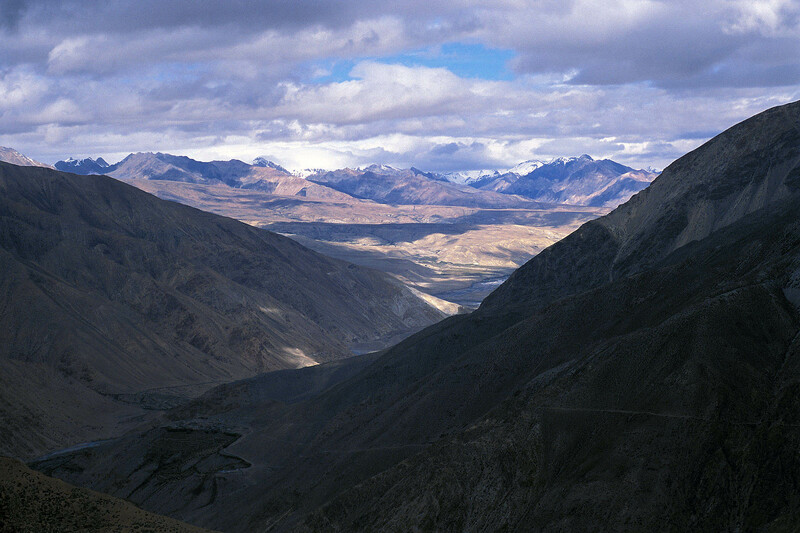 Mountains, rocks, caves, rivers and lakes are perceived as vibrant with energy and meaning. 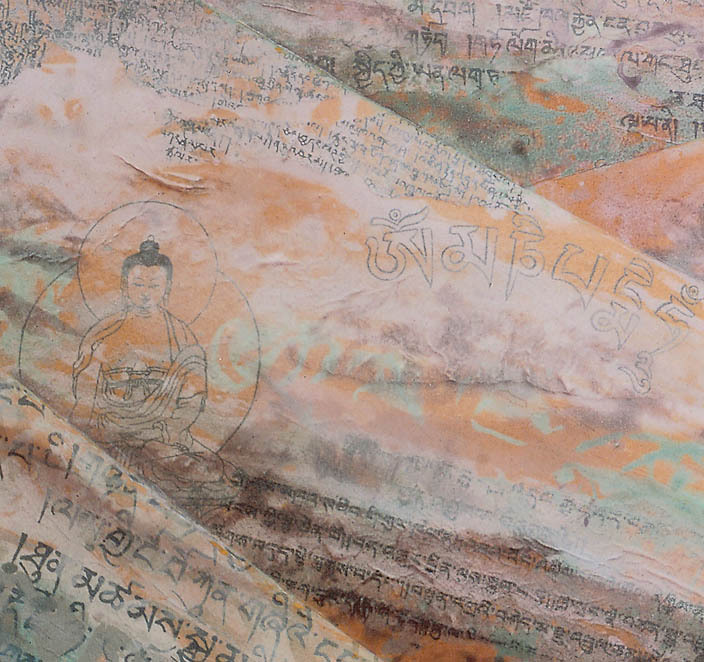 In my painting I evoke this unique quality by blending prayer texts, deities, saints and sacred symbols in the landscape. 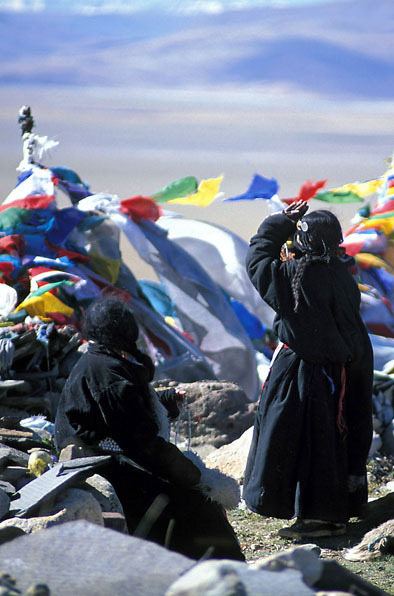 The concept of the pilgrimage is shown internalised at the back of the outer panels, seen when the triptych is closed. 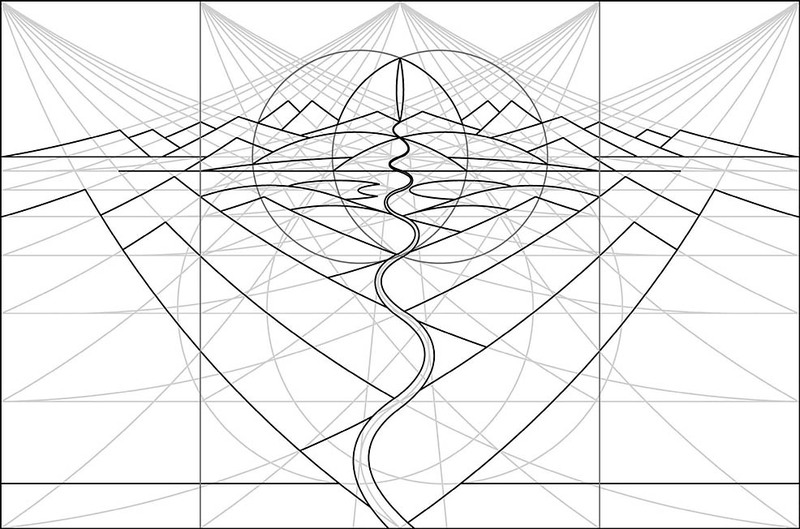 The figure depicted fits exactly to the very same matrix which makes up the composition of the main theme. 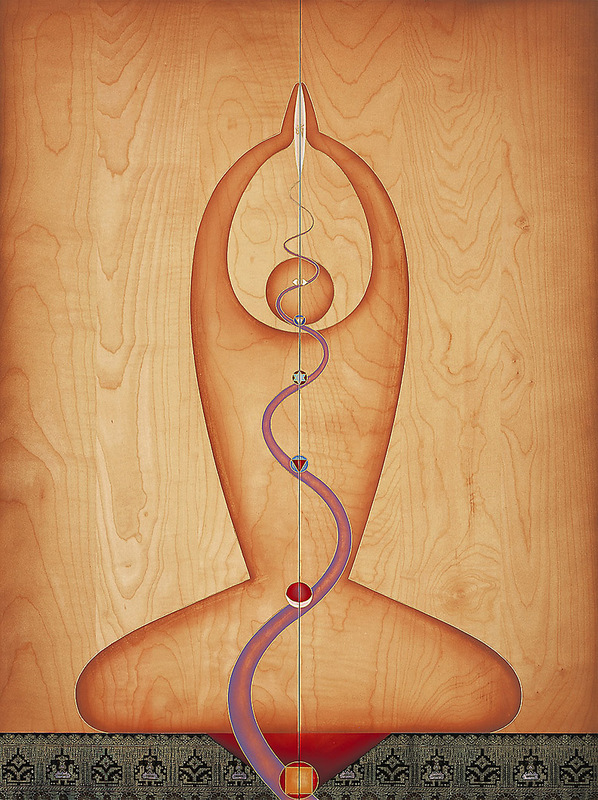 The different chakra centres are placed along the inner path. 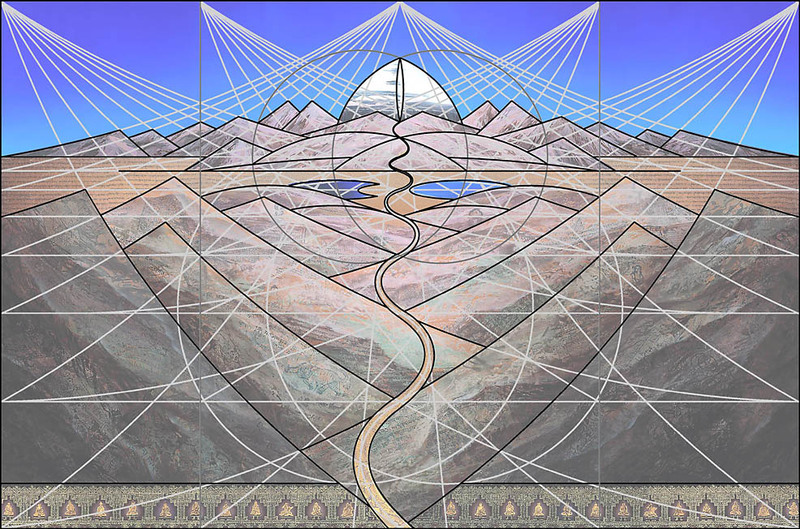 The composition can be overlaid with a geometric matrix, which shows the journey as a path through seven steps, related to the different chakra centers. 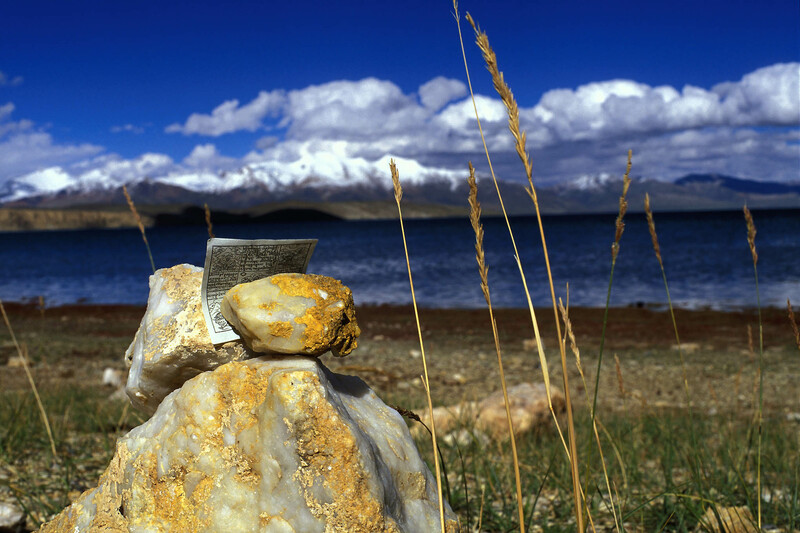 Seen like this, the third eye point (ajna chakra), over-coming duality, is situated in between the two lakes Mansarovar and Rakshas Tal. 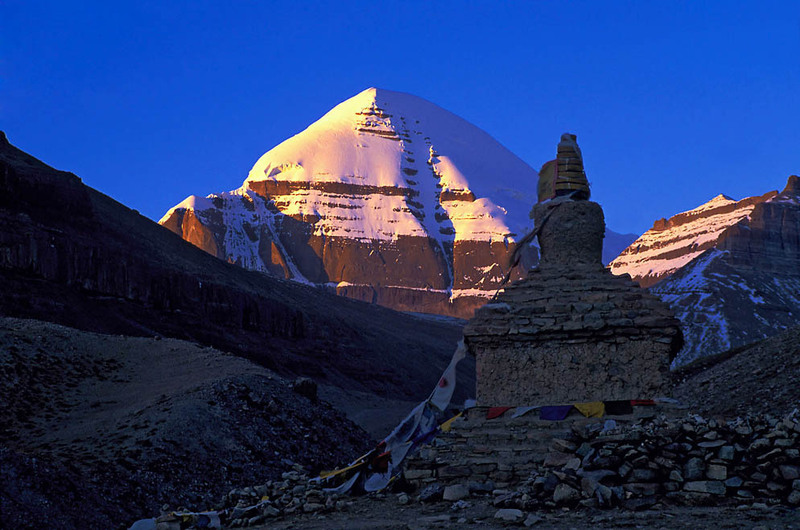 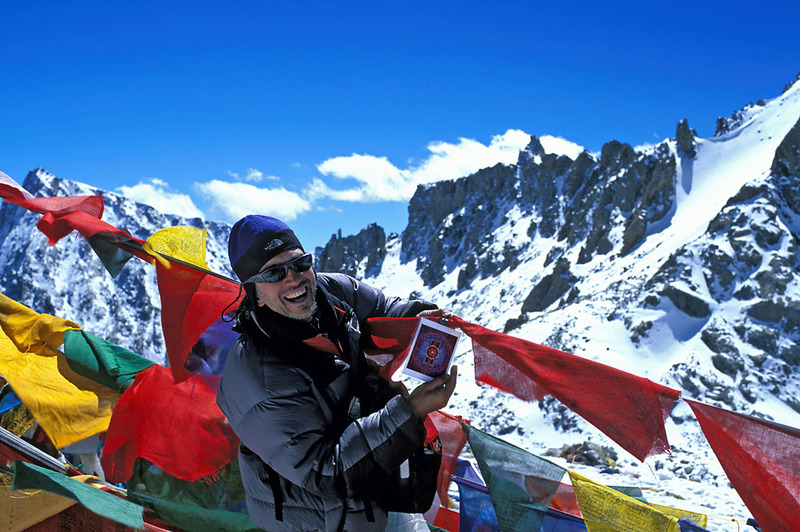 The circles which create the outline of Mount Kailash also meet on the path where the heart chakra is located. 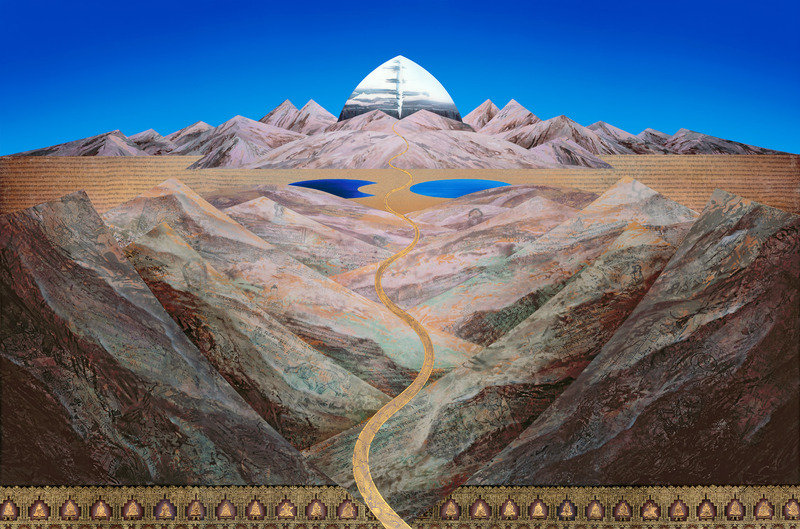 Ultimately the golden path leads up to the seventh step (sahasrara chakra) symbolised by Mount Kailash itself.